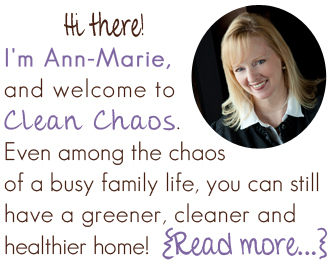 Clean Chaos is designed to share green living tips and resources, to help families have a safe, healthy and eco-friendly home. Over recent years, I have begun taking small steps toward a healthier home & family by reducing the use of toxic chemicals, cooking more homemade meals and shopping smarter. If you walked in my home right now, you wouldn’t see a perfectly pristine, dust-free, something-fermenting-on-the-counter environment. And that’s ok, and I won’t feel guilty for it. But I am willing to try new experiences and see what makes a good fit for my family. 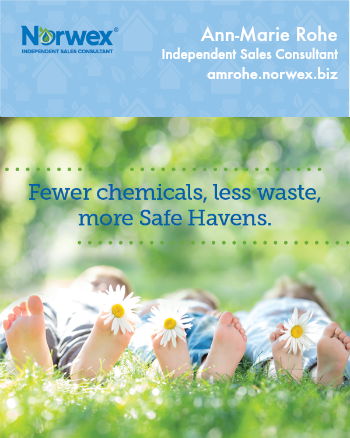 As a Norwex Independent Sales Consultant, I share in the company’s mission to improve quality of life by radically reducing chemicals in the home. One less plastic water bottle. It’s these small steps that can make a big impact, and when you have chaos in your life – from kids, pets, a crazy work schedule, not enough sleep and anything else life throws your way … you can feel a little bliss from knowing these small steps help your home to be a safer, cleaner environment.